This was first published in 1952. In 1536, Henry VIII was almost toppled when Northern England rose to oppose the Dissolution of the Monasteries. For a few weeks Robert Aske, the leader of the rebels, held the fate of the entire nation in his hand … An enthralling novel about a moment in history when England’s Catholic heritage was scattered to the four winds by a powerful and arrogant king. Sir John Uvedale had business at Coverham Abbey in Wensleydale, lately suppressed, so he sent his people on before him to Marrick, to make ready for him, and to take over possession of the Priory of St. Andrew from the Nuns, who should all be gone by noon or thereabouts. Sir John’s steward had been there for a week already, making sure that the Ladies carried away nothing but what was their own, and having the best of the silver and gold ornaments of the Church packed up in canvas, then in barrels, ready to be sent to the King. The lesser stuff was pushed, all anyhow, into big wicker baskets; since it would be melted down, scratches and dints did not matter. The Man on a Donkey is the longest book I’ve read this year and at times I thought it was overlong. It certainly is not a book to read quickly, as John Cooper writes in his Introduction it ‘requires persistence from the reader.’ Hilda Prescott (1896 – 1972) was a historian and biographer as well as a novelist and based this novel on documentary evidence relating to the Pilgrimage of Grace in 1536 led by Robert Aske, a lawyer. It was a protest against Henry VIII‘s break with the Roman Catholic Church, the Dissolution of the Monasteries, and the policies of the King’s chief minister, Thomas Cromwell. It’s written in the form of a chronicle, written from the various characters’ viewpoints. It’s as much about the ordinary people as the rich and powerful. There are many characters including many real historical people, such as Henry VIII, Katherine of Aragon, Anne Boleyn, Thomas Cromwell, Princess Mary and Thomas More amongst others. The two main characters are historical figures too – Robert (Robin) Aske and Christabel Cowper, the last Prioress of the Benedictine nunnery at Marrick in Yorkshire. They and the fictional characters came to life as I got used to their individual voices – some instantly likeable, such as Robin and Christabel despite their flaws and others so despicable. Henry VIII, a tyrant and Thomas Cromwell, a real villain, for example were much reviled as between them they created fear and terror in a totalitarian regime. In fact this book is in line with much of what I had learnt of the period from history lessons at school, films, books and TV series up until I read Hilary Mantel’s books that portray a much kinder view of Cromwell. But just like Mantel’s books, this book transported me back to that time, with lyrical descriptions of the settings, both of the countryside and of the towns, of Marrick Priory and of the king’s court, of the people, and the mood of the times, both religious and political. 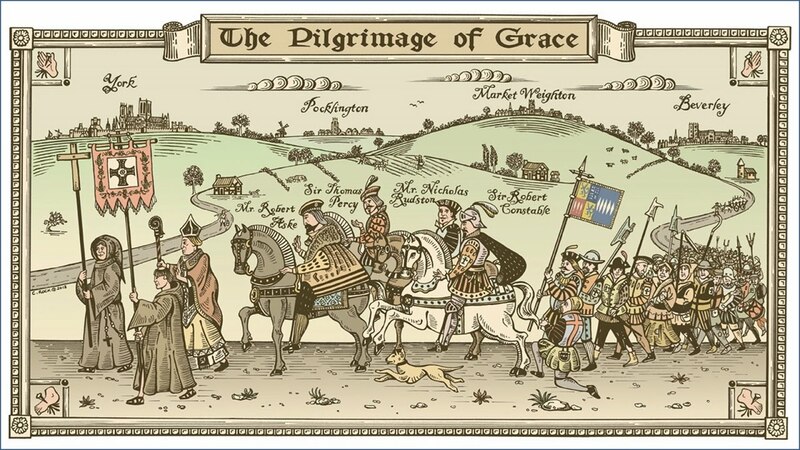 The Pilgrimage of Grace was not a revolution against Henry but an attempt to get him to change his mind and to understand how people felt. They wanted Henry to stop the dissolution and his attacks on the monks and nuns and to return the country to following the Pope. There were several uprisings and thousands of people were involved, nobles as well as the ‘commons’. But it cost many people their lives in excruciating pain as they were hanged, drawn and quartered. The source of the book’s title comes from the mystic, Malle, a simple-minded young woman who the nuns had bought at a York market in the belief that she was a mermaid. She is a strange character who sees a vision of Christ riding on a donkey over a bridge across a stream in the Yorkshire countryside. Her visions and strange sayings continue to puzzle and frighten people throughout the book. 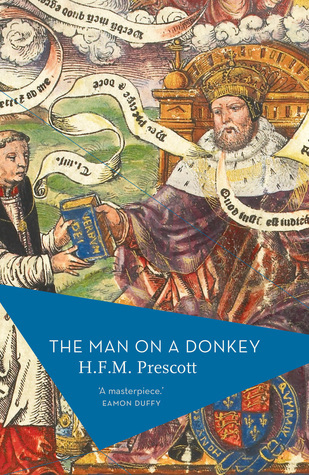 Reading A Man on a Donkey has reminded me that I have Tracy Borman’s biography of Thomas Cromwell still to read. It’s a detailed account of his life, subtitled ‘the untold story of Henry VIII’s most faithful servant’. I wonder what this will reveal about Cromwell’s controversial character? 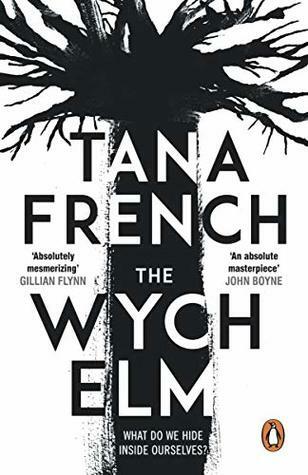 The Wych Elm by Tana French is a long book and it starts very slowly, so it’s a book to savour rather than one to rush through. I was engrossed in this psychological thriller, a standalone book, as dark family secrets gradually came to light. It isn’t a page-turner and yet it is full of mystery and suspense about a family in crisis. Toby Hennessy, the narrator, is twenty eight. He’s a good looking and charming young man from an affluent and supportive family who love him. He has had an easy start to life, everything had just seemed to fall into place for him. He works for an art gallery in the centre of Dublin, where he does the gallery’s PR and is thinking of getting a place together with his girl friend, Melissa. But then his luck and his life change dramatically when he is brutally attacked by burglars in his flat, leaving him in a terrible state, physically and psychologically damaged. The first mystery is to find out why he was burgled and so savagely beaten. The police investigation doesn’t get very far and Toby is left to solve it himself – for a while at least. He then learns that his Uncle Hugo has terminal cancer and he and Melissa go to stay with him at the Hennessy family home, the Ivy House, to care for Hugo and to recuperate. Their large family – his parents, his aunts and uncles, and his cousins, Susanna and Leo – descend on Ivy House for lunch every Sunday and one Sunday afternoon Susanna’s young children discover a human skull in the hollow trunk of a wych elm, the biggest tree in the garden. So there is a second mystery to be solved – and one that is slowly unravelled taking Toby back to his teenage years and he realises that there was so much going on in his friends’ and cousins’ lives that he had just not known about. It’s as though he was cocooned within his own comfortable bubble, totally unaware of the bullying and struggles that other people had to face. He really finds it hard to come to terms with this. Much of the rest of the book is made up of long conversations with his uncle and cousins and the police investigations. The Wych Elm is an intense book, digging deeply into the nature of privilege, luck and empathy, with the dynamics of relationship, with memory and coming to terms with the past and with death. There were times when I wasn’t sure just how reliable Toby was as a narrator and then I wondered which of the other characters were telling the truth. The account of Hugo’s illness, the way he copes with it and his family’s reactions are completely convincing. This is a nuanced book, with several complex layers and when I wasn’t reading it I was still thinking about it. I thoroughly enjoyed it. My thanks to the publishers, Penguin UK, for my review copy via NetGalley. A Wych Elm in our garden – you couldn’t hide a body in this tree! This edition, published in association with the British Library, has an introduction by Martin Edwards. It was first published in 1938 by Faber and Faber. It’s the second book by Richard Hull that I’ve read. However, I didn’t think Excellent Intentions was as enjoyable as the first one, The Murder of My Aunt. Henry Cargate, of Scotney End Hall, died on a train for London, from a heart attack brought on when he inhaled snuff laced with potassium cyanide. He was an unpleasant man, the most disliked person in the village of Scotney End and several people were suspected of murdering him. One of those suspects (who is not named until near the end of the book) was arrested and is on trial for his murder. The potassium cyanide crystals, mixed into Cargate’s snuff had been bought to destroy a wasps’ nest. So, Inspector Fenby’s investigation concentrates on the limited opportunities available for the murderer to add the poison to Cargate’s snuffbox, which he kept in his study. The book begins as the counsel for the prosecution makes his opening speech and makes his case for the judge and jury. It then follows the trial through its various stages to the verdict and subsequent appeal. My problem with this book is that it is so very factual and focused on the times that no one was in Cargate’s study, concentrating on four people that Fenby suspected had an opportunity to tamper with the snuff, and on the position of the bottle of potassium cyanide – whether it was on the desk or on the window sill. It’s clever, but it’s also repetitive and very long-winded. But, I liked the twist in the conclusion. My thanks to the publishers, Poisoned Pen Press, for my review copy via NetGalley. This is qualifies for the Mount TBR Challenge and for the Calendar of Crime Challenge for September in the category of the author’s birth month. As I loved Force of Nature by Jane Harper I was absolutely delighted when Caollin Douglas at Little, Brown Publishing asked me if I wanted to take part in the blog tour for Jane Harper’s latest book, The Lost Man. I wasn’t disappointed – I loved it. Did Cameron walk to his death under the unrelenting sun of the Australian Outback? If not, what happened? 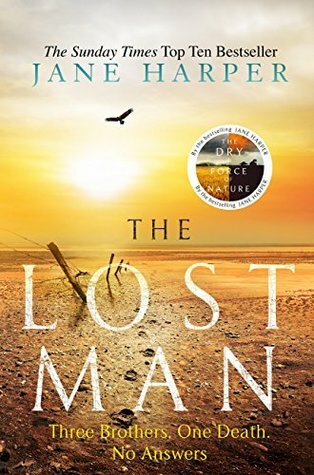 Set in the unfamiliar, isolating and disorientating landscape of the Outback, The Lost Man combines intrigue, surprise and intellect to create a gripping and thrilling narrative. This is essentially a family drama and is very much character-driven, set in an isolated part of Australia hundreds of miles from anywhere and revolving around the death of Cameron Bright. There are three Bright brothers – Nathan the oldest, then Cameron and the youngest brother, Bub. They have a vast cattle ranch in the Queensland outback. The book begins with the discovery of Cameron’s body lying at the the base of the headstone of the stockman’s grave – a headstone standing alone, a metre high, facing west, towards the desert, in a land of mirages. It provides the only bit of shade for miles around. He had obviously died an agonising death in the intense forty-five degrees of heat, crawling round the headstone in search of its shade as the earth rotated around the sun. Nathan and Bub meet at the site and can’t understand why he was there – his car was found several kilometres away and at first they assumed he had just walked away to end his life, but that didn’t seem to make sense. Nathan just can’t believe Cameron would do that. There is little actual police investigation and so Nathan delves into the past on his own looking for answers. He is astonished at what he finds. Nathan is a solitary man, divorced and living alone, a three hours’ drive from the rest of the family. There is a mystery surrounding his isolation not just from his family but also from the small town, three hours drive away. Whereas, Cameron, who took over the ranch after his father died, is well liked, married with two little girls. The youngest brother, Bub, meanwhile is an angry young man, resentful of the way Cameron runs the business, mainly because he thinks his views are being ignored. As Nathan tries to fathom what had happened hidden passions and resentments begin to surface and it becomes clear that this is a dysfunctional family. He realises there was a lot about his family he had never known. Throughout the book the Australian outback looms large, a huge and isolated territory, red earth stretching for hundreds of miles, with its unbearable heat, dust and, at times, the threat of flood. But it’s the characters, as their past history and relationships are exposed and they became real personalities, that made the book such compelling reading for me. I liked the storytelling, the details of the legends surrounding the stockman, the drama of the family grieving over Cameron’s death – and the mystery of his death – was it suicide or murder, and if it was murder who had killed him and why? Source: Review copy as part of The Lost Man blog tour, via NetGalley– Thank you. Jane Harper is the author of the international bestsellers The Dry and Force of Nature. Her books are published in more than 36 territories worldwide, with film rights sold to Reese Witherspoon and Bruna Papandrea. Jane has won numerous top awards including the CWA Gold Dagger Award for Best Crime Novel, the British Book Awards Crime and Thriller Book of the Year, the Australian Book Industry Awards Book of the Year and the Australian Indie Awards Book of the Year. 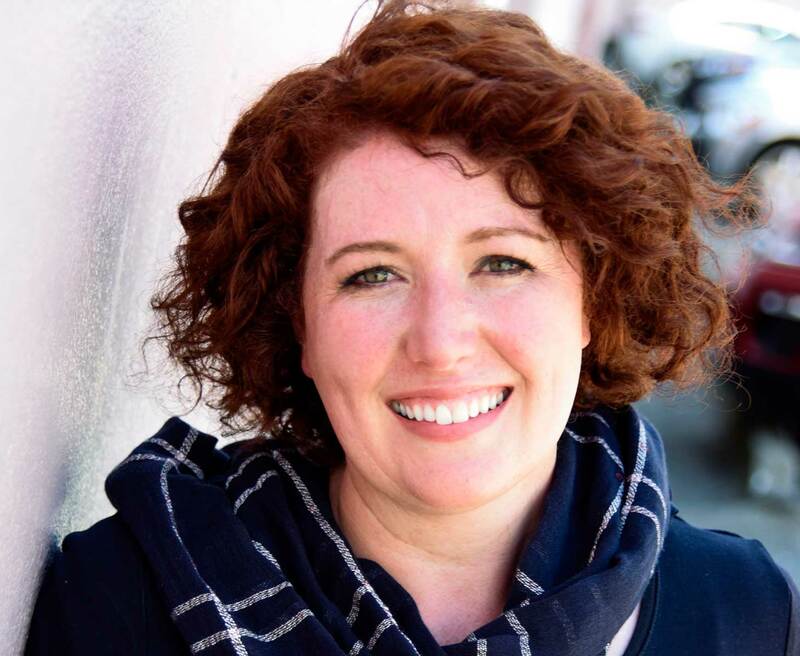 Jane worked as a print journalist for thirteen years both in Australia and the UK and now lives in Melbourne. You can find out more by visiting Jane’s website and finding her on Facebook, Instagram and Twitter @janeharperautho. This edition of The Colour of Murder, published in association with the British Library, has an introduction by Martin Edwards. It was first published in 1957 by Collins. It won the prize for the best crime novel of that year awarded by the Crime Writers’ Association. 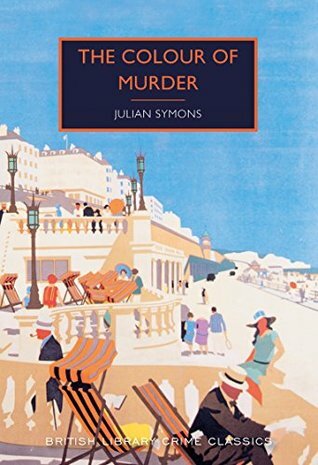 I came fresh to this novel, knowing little about the plot and nothing at all about its author, Julian Symons*, so I was pleasantly surprised by how much I enjoyed it. The Colour of Murder is a cleverly written, very readable mystery, with a focus on the psychological aspects of crime. It reflects the society and racial attitudes of its time. Written in two parts – the first is a statement to a psychiatrist, Dr Max Andreadis, written in the first person, from John Wilkins, accused of a murder on the beach at Brighton. The second part, which is written in the third person, describes John’s subsequent trial. John is an unreliable narrator and not a very attractive character. He works in the Complaints Department in large Oxford store, a job with responsibility, but poor pay and suffers from blackouts after which he declares he can’t remember what he did. Are they brought on by his drinking, or not? He has an over-possessive mother and a dull and dutiful wife May, who doesn’t get on with his mother. When he meets Sheila in the local library he finds her beautiful and irresistible. He becomes infatuated with her, but May insists she loves him and won’t countenance a divorce. Sheila is not attracted to him but she leads him on and John believes she returns his love. So when she announces she is engaged to Bill he is devastated. At the end of the first part of the book I was left wondering who he had killed – was it May or Sheila, or Bill? That mystery is quickly cleared up in the second part with John’s trial- but I’m not revealing it now either – that would spoil the story. By the end of the book I still wasn’t clear about the murder. Was John the murderer, was he insane or was he responsible for his actions? Or was he innocent and if so who was the murderer? What really happened? This is a book that kept me guessing right to the very end. The characters are well drawn, although maybe veering into stereotypes in John’s mother and uncle. The account of the trial is excellent, with the introduction of additional and credible witnesses giving their accounts of John’s character and actions. *Symons’s full name was Julian Gustave Symons, born in 1912. He was a poet, biographer (including biographies of Charles Dickens and Thomas Carlyle) and a criminologist as well as a novelist and critic. He was a post-war President of the Detection Club from 1976 to 1985, and wrote several crime fiction and detective novels, short stories and in Bloody Murder (US title Mortal Consequences) a history of the detective story. In 1982 he was named as Grand Master of the Mystery Writers of America – an honour accorded to only three other English writers before him: Graham Greene, Eric Ambler and Daphne Du Maurier. He died in 1994. Calendar of Crime Challenge for May – the author’s birth month. This edition, published in association with the British Library, has an introduction by Martin Edwards. It was first published in 1934 by Hamish Hamilton. It was Richard Hull’s first novel. His real name was Richard Henry Sampson (1896 – 1973) and up until 1934 he had worked as a chartered accountant. With the success of The Murder of My Aunt he devoted himself to writing. The Murder of My Aunt is one of the best of the classic crime fiction novels from the Golden Age that I’ve read. On the face of it has a straightforward plot as Edward Powell, the narrator for most of the book, plots to murder his Aunt Mildred. They live in a house called Brynmawr on the outskirts of the Welsh town of Llwll. Mildred is his guardian, his parents having died in mysterious circumstances when Edward was very young. He detests living in Lwll and he also detests his aunt. It’s a contest of wills as Mildred finds Edward a great trial, she sees all his faults – he is selfish, self-centred, vain and lazy and foppishly effeminate – and she constantly nags him to change his ways, or she will ‘have to take action’. Edward, though decides that he will take action, thinking his life would be so much better without Mildred and he sets out to find a way to arrange her death so that no suspicion will fall on him. He makes copious notes of various methods and the steps he plans to take and that’s more difficult than he expected as his attempts keep failing. But it’s the writing that lifts this book from the ordinary to an original and funny murder mystery and, whilst not laugh-out-loud funny, I thought it was brilliant. It’s witty and ironic from the start as Edward pontificates on the pronunciation of the word ‘Lwll’. Neither Edward nor Mildred come across as caricatures, but as real people, both of them with their own faults. Edward is just so insufferably awful that I felt on Mildred’s side in their battle of wits, even though she shows him up in front of the whole village – and after all she had brought him up. Once I started to read The Murder of My Aunt I was captivated and I had to read it quickly, anxious to find out if Edward did manage to kill his aunt. It makes very entertaining reading and I loved the ending, which took me by surprise and I thought was so clever – definitely a 5* read for me! 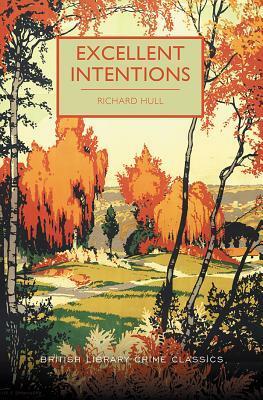 Now I’m looking forward to reading more of Richard Hull’s books and have Excellent Intentions lined up to read soon. This is qualifies for the Mount TBR Challenge and for the Calendar of Crime Challenge for March in the category of a book in which money/fortune/inheritance has a major role. 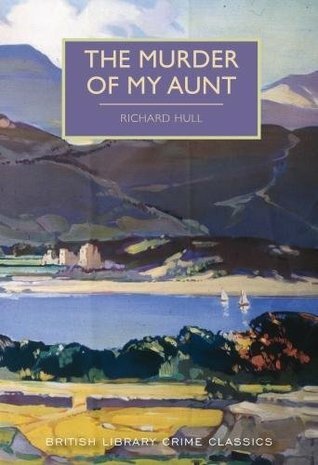 I have just started to read The Murder of My Aunt by Richard Hull, a Crime Classic first published in 1934. My aunt lives just outside the small (and entirely frightful) town of Llwll. That is exactly the trouble. Blood is so repellent. In fact the very thought is so disturbing that I had to stop writing and read a story of de Maupassant’s to calm my nerves, before I could continue to write these notes. Edward Powell lives with his Aunt Mildred in the Welsh town of Llwll. His aunt thinks Llwll an idyllic place to live, but Edward loathes the countryside and thinks the company even worse. In fact, Edward has decided to murder his aunt. A darkly humorous depiction of fraught family ties, The Murder of My Aunt was first published in 1934. This tempts me in different ways – I like the title, I like murder mysteries and I like the promise of humour. And I like the cover too. What do you think? Does it tempt you or would you stop reading?